Olympic legend Sir Steve Redgrave is convinced Great Britain can triumph at the Rio Olympics and eclipse the 65 medals won at London 2012. 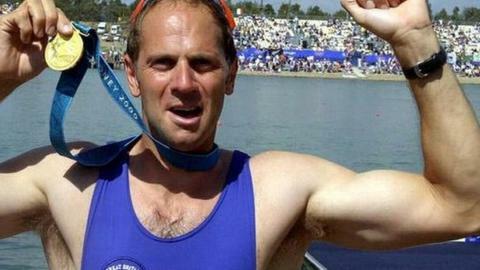 The five-time Olympic rowing champion cites a shift in the nation's attitude towards sporting success for his optimism. Team GB's 2012 medal haul included 29 golds and set a post-war record aided. Redgrave said: "I have got every confidence that we will win more medals across the board in Rio." He added: "We have the talent, the desire and the infrastructure to get those results." Both Australia and China came close to equalling their respective 2004 and 2008 medal tallies in their post-hosting Games four years later, but fell short. Redgrave, 51, said: "Less than 20 years ago we were only looking at one handful of gold medals at an Olympic Games and it was beyond most people's dreams." The retired British rower knows what it takes to achieve Olympic success, winning gold medals at five consecutive Olympic Games from 1984 to 2000.